At 5.96″ and boasting plenty worth shouting about, it appears as if Google and Motorola make one impressive collaboration, the result of which is the top notch Motorola Nexus 6. How big is too big when it comes to phablets? While the majority of phablet devices top out at 5.7″, getting the balance right between screen size and ease of use can be hard to achieve when you head north of 5.7″. One device that proves impressive despite its unwieldy dimensions is the 6.8″ Hisense Infinty Maxe X1 (review). 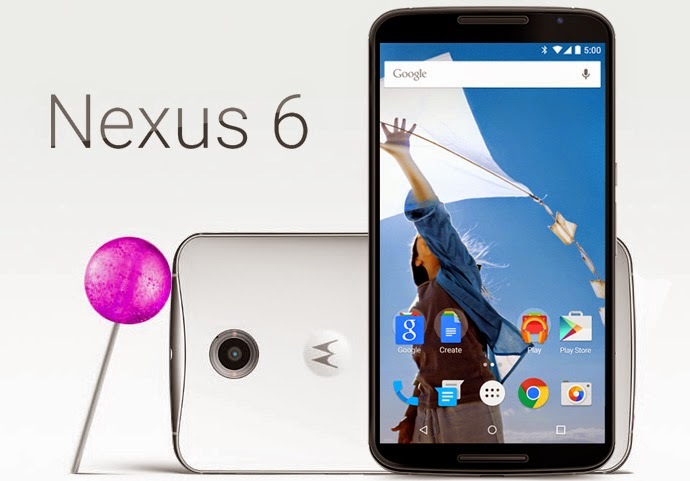 Although smaller, the still large 5.96″ Motorola Nexus 6 is classified into the same category. Just like the Maxe X1, the Motorola Nexus 6 is not just a one-trick pony, paring a terrific screen, high performance chipset and solid camera to create a great all round phablet. For those unfamiliar with Google’s other Nexus devices, they all feature an undistilled version of the company’sAndroid OS. The same rings true of the Nexus 6, which sports Android 5.1 Lollipop (as an upgrade) as its native operating system. 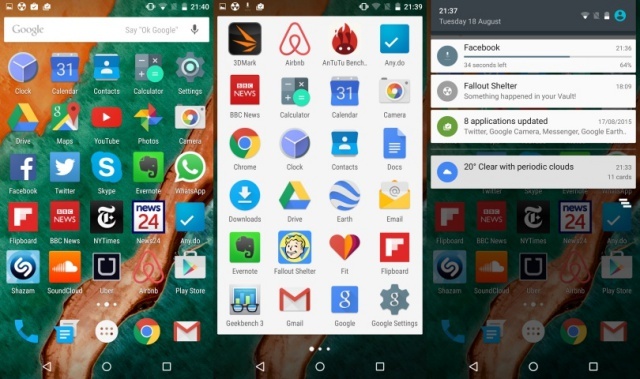 As such, it gives users a far purer version of Android to play around with, and thankfully does away with any and all cumbersome bloatware. To that end, all the native Android apps are fully optimised, and in many respects, enable a greater level of productivity for those that know what they’re doing. Google Now feels like it runs better on the Nexus 6, with weather, news and sports cards all popping up in the notification centre . Added to this, is the unilateral Material Design of the UI, which again makes it feel like an unbridled Android device. That’s true of the screen though. The rest of the device feels very much like a Motorola mobile product. The manufacturer’s now trademark sweeping portion of the top of its frame is present, and looks quite striking and interesting to both behold and have in hand. 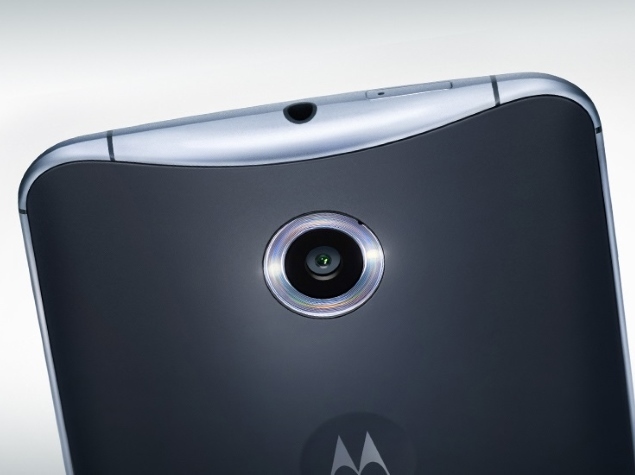 Below this we, find a 13 MP camera that sinks ever so slightly into the back cover of the Nexus 6. There’s also the Motorola logo, sitting in a large circular dimple that the index finger naturally finds when holding the Nexus 6. If however, the heritage of this device is in question, there is a large Nexus logo placed vertically on the phablet for everyone to see. Personally, I’m not a fan as it mars the overall look somewhat, but all in all, the Nexus 6 is still very intriguing to inspect, something quite rare to find in phablet terms. As far as the internal elements of this phablet goes, it too, is quite intriguing. 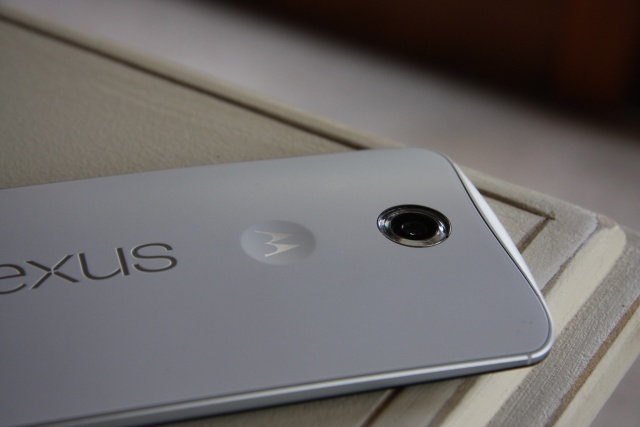 Starting things off at the heart of the Nexus 6, we find a Qualcomm Snapdragon 805 chipset. A quad-core processor, it clocks in at 2.7 GHz and utilises a Krait 450 architecture. What this means, is that the Nexus 6 is both powerful and adept at multitasking. This feeling is backed up by benchmark testing results, with the Nexus 6 scoring a total of 40 974 on AnTuTu. Put in perspective, the Infinty Maxe X1 registers 34371 on the same benchmark, while the Galaxy Note 4 scores 48670. Also aiding in the performance department is 3 GB of RAM. 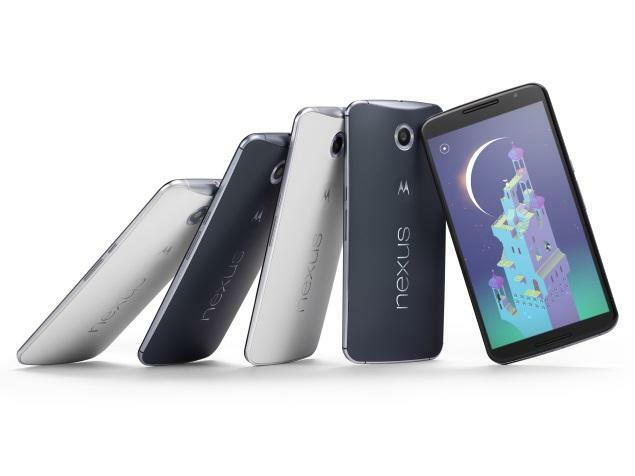 In the storage stakes, the Nexus 6 is available in either 32 GB or 64 GB flavours. 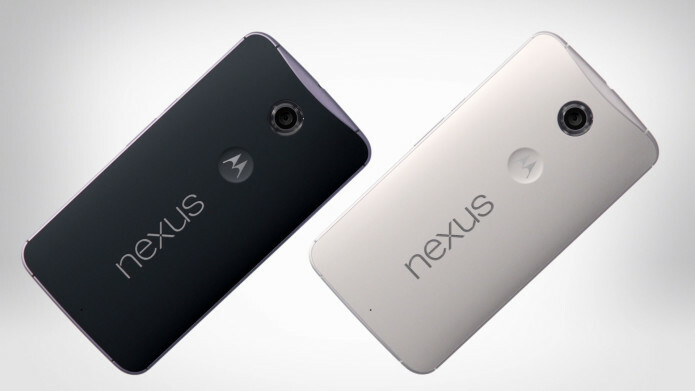 There is however no microSD slot to speak of, but in every other category, the Nexus 6 has more than enough quality. As strong a multitasker as the Nexus 6 proves, it’s true foretay lies in enjoying content. It’s 5.96″ (1440×2560) is quite fantastic. Registering in with a 493 ppi pixel density, images and icons look sharp and crisp, and with the brightness turned to maximum, colours seem to have an added degree of richness. 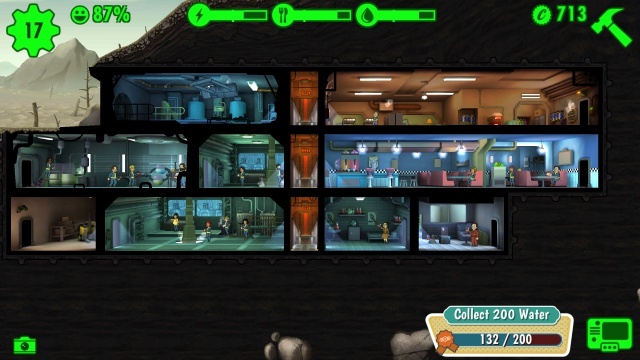 As such, playing videos and games alike proves a treat, with Fallout Shelter becoming a particular gaming vice that was hard to beat on the Nexus 6. 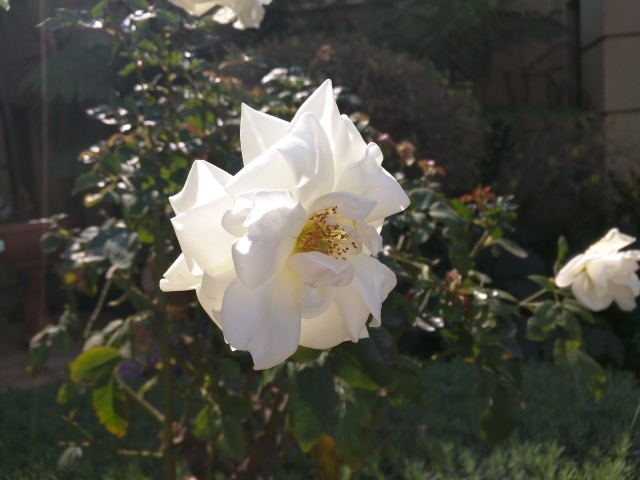 One other noteworthy area is the Nexus 6’s camera setup. Integrating a 13 MP camera on the rear, it shoots as well as most other flagship phablet ones. 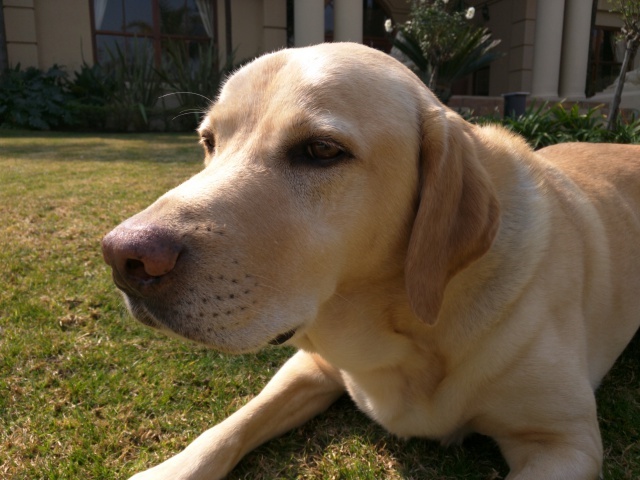 It does start up a little slowly, using Google’s native camera app to operate, which can take a bit of time to get going. That said, once primed and ready, it captures great images in a variety of environments. The secondary is tad less impressive, with a 2 MP front facing camera being favoured for the Nexus 6. As expected, it’s a little grainy in low light conditions, and does not capture the amount of detail that some users might crave. Being a phablet, the Nexus 6 requires a large battery to get one through the day, and at 3220 mAh, it certainly has a large one to call upon. 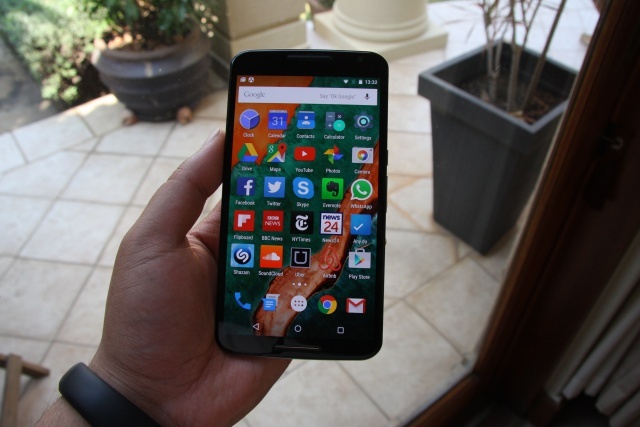 The sizeable battery serves up a full day’s use from the Nexus 6, provided you do two things. One is limit your gameplay, as processor heavy games or apps will put a strain on it. The same goes for the screen brightness, with the adaptive brightness setting yielding far greater battery life compared to half or full capacity settings. 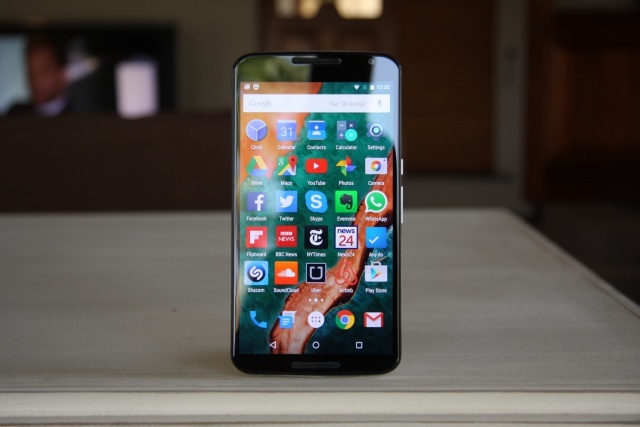 While the Nexus 6 has had a strong showing up until this point, there are some issues that must be flagged. The principal one is size. 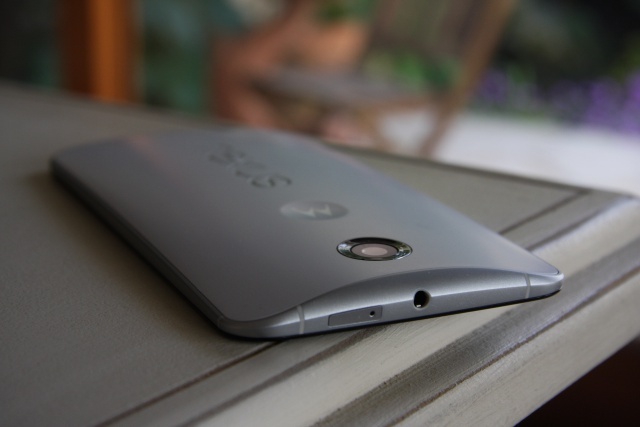 Measuring 83 mm wide, and with its curved edges, the Nexus 6 can be a little difficult to pick up. Being as wide as it is, the Nexus 6 can only be used with two hands, no matter how dexterous you feel you are. Another problem that arises with 5.96″ of screen real-estate is fingerprints. As such, I routinely found myself wiping off the finger marks from the Nexus 6’s display. At 5.96″, the Nexus 6 might feel a little daunting for some, but with phablets only getting bigger with each new quarter, they are here to stay. To that end, the Nexus 6 could prove a great device to tout for the next couple of years, thanks to its strong chipset and RAM setup. The primary camera too, as well as the battery, will hold users in good stead for the next 18 to 24 months. It’s also a pretty rare device to get here in South Africa, with Orangebeing one of the only local retailers to stock it at R6 600. At that price, it can prove a solid investment for potential flagship phablet owners. For those discerning users who are unable to part with R10 000 for the likes of the Galaxy Note 4, then the Motorola-designed Nexus 6 is a savvy choice for Android fiends.